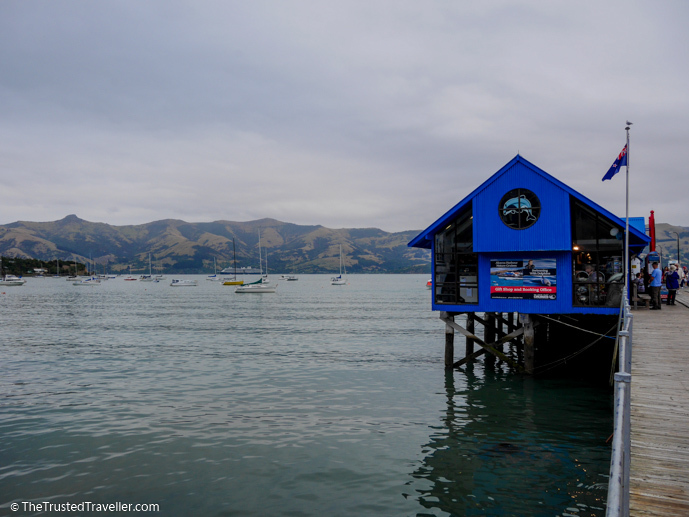 Taking a day trip to Akaroa from Christchurch is one of the must do things when your visiting the city. Back in 2014 when we visited Christchurch we just didn’t have the time to be heading out of town for a few hours. So when we arrived back in the city recently for a five night stay visiting friends, we knew it had to be on our itinerary this time. 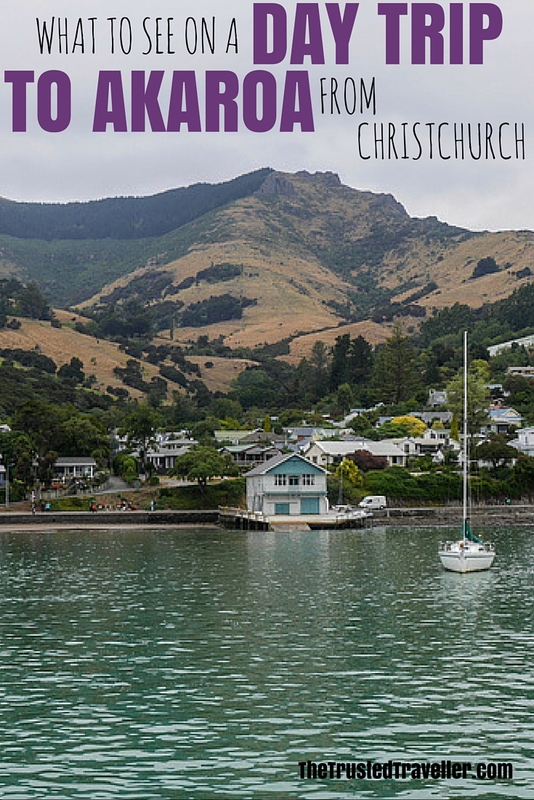 Akaroa is the perfect full or half day trip outside the city and compliments a visit to Christchurch perfectly. 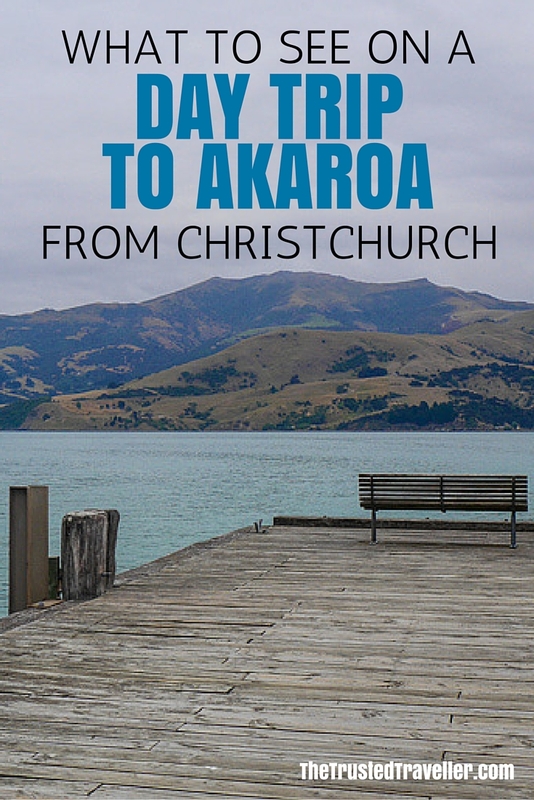 After our recent trip, we want to show you just how easy it is for you to take the day trip to Akaroa from Christchurch too. Ideally you’ll want to have your own vehicle to get out there but a guided tour is also a possibility. The drive is scenic and easy on a one lane each way country road that winds through the mountains. 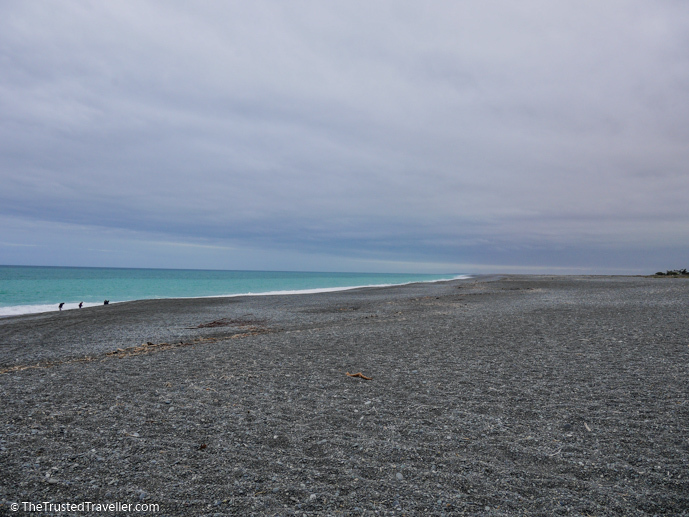 And its only a one and a half hour drive from the centre of Christchurch. Check out Expedia for great deals on car hire. If you’d prefer to let someone else do the driving, there are many tours departing from the centre of the city that will take you out there, include a few activities and bring you back in the afternoon. Viator is a great option for finding day trips all over the world. Akaroa, meaning “Long Harbour” in Maori, is an old whaling township situated on the Banks Peninsula, south-east of Christchurch. It was founded by the French in 1840 and today it still has a distinctly French flavour with quaint architecture and charming hospitality. The village is nestled into a wide bay on the eastern side of the rugged harbour and has a permanent population of around 700 which swells significantly over summer. It’s a popular stop for cruise ships making their way around New Zealand so it can be a little on the busy side around the middle of the day. Heading out from Christchurch city you’re first stop should be at the lookout in the Port Hills. From there you can look out across the city, the bays of Lyttelton Harbour, the Canterbury Plains and even out to the Southern Alps on a clear day. Next continue down the other side of the hills to Lyttelton Harbour, a sea-filed extinct volanic crater. 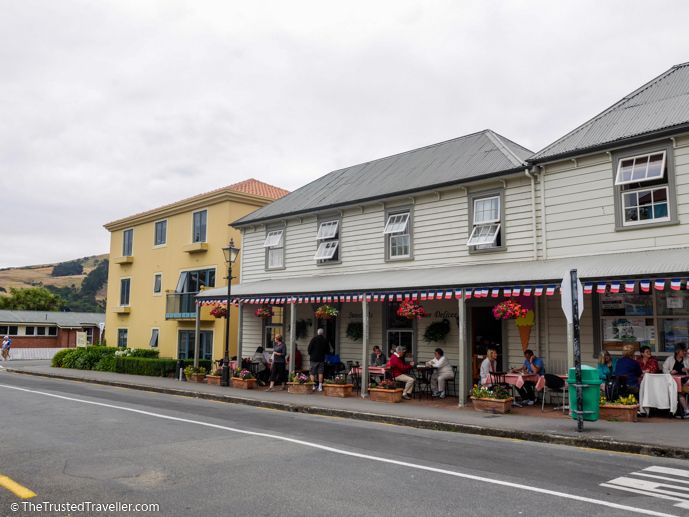 Make a quick photo stop at Governors Bay, one of the small townships on the harbour. Drive across Gebbies Pass to join the main road out to Akaroa which passes Lake Ellesmere which is full of many different bird species. And just past the lake you’ll see the turn off for Birdlings Flat. The beach and ocean is just a minutes drive from the main road. Back on the main road, the road starts to head north east into the peninsula with the first town you’ll encounter being the historic and arty Little River. 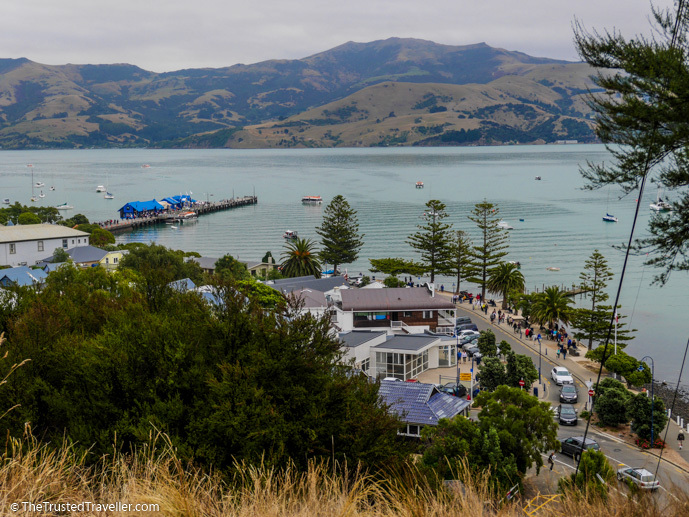 The next stop after a breathtaking climb through the mountain is at Hilltop, where you are actually standing on the crater rim of the long extinct Akaroa volcano, and from here there are incredible panoramic views of Akaroa harbour and the townships that dot the bays. The road then leads down the mountain and as soon as you arrive at the bottom you’ll see Barry’s Bay Cheese on the left. Stop here for a chance to taste and buy delicious locally made cheese. 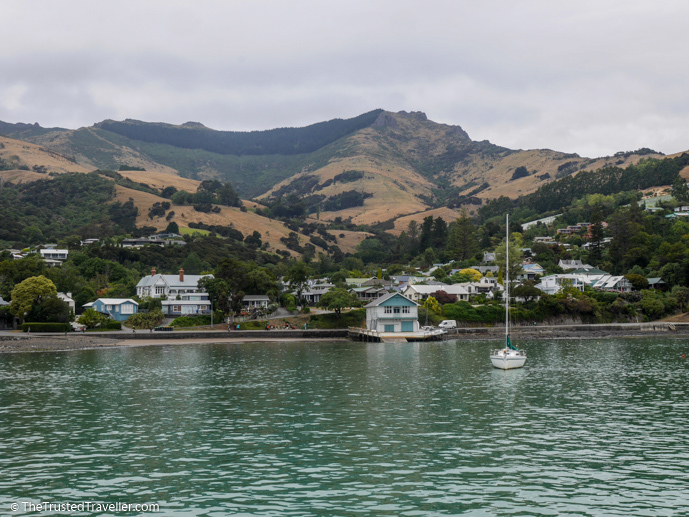 The final leg into Akaroa winds along the edge of the bay through small townships full of holiday homes and caravan parks. 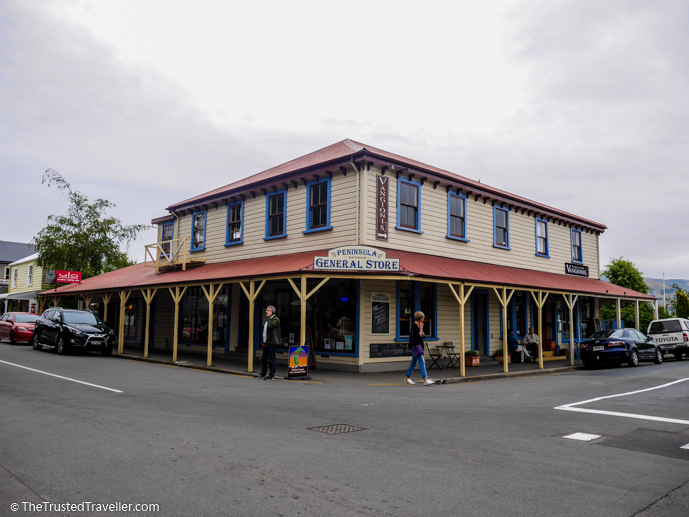 While the drive to Akaroa itself is great, there is heaps to see and do once you get there to make it more of a full day trip. Here a few suggestions to get you started. Take a long walk through town – For this we suggest you drive to the furthest part of town, park the car and then slowly walk your way through town. Stop in the shops for a peek, have a coffee in one of the many waterfront cafes, and stroll along the waters edge admiring the view. Kayak on the bay – Get out on the water to explore some of the secluded bays by hiring a kayak. You can hire a kayak from one of the kiosks on the water or take a guided tour with Akaroa Kayaks. Take a nature cruise – Akaroa Harbour is full of marine life from dolphins to penguins and an abundance of sea birds. See it all and the amazing scenery with a two hour cruise on the harbour. Swim with dolphins – From September to May each year, the worlds smallest, rarest and friendliest dolphins, the Hector Dolphins, make Akaroa Harbour their home. You can join a small boat of just 10 people to go out and snorkel for two hours with these incredible creatures in their natural environment. 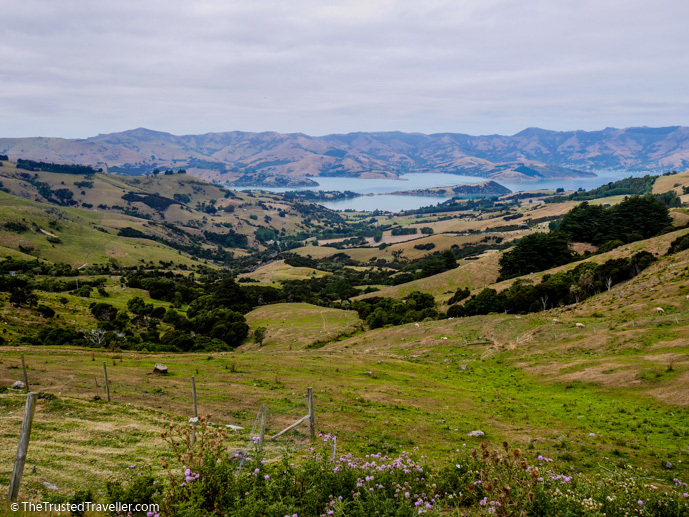 Take a hike – There are over 50 walks you can do in the Banks Peninsula area ranging from short 15 minute strolls to multi-day tramps. This website has excellent information on each of them which will help you decide which ones are right for you. 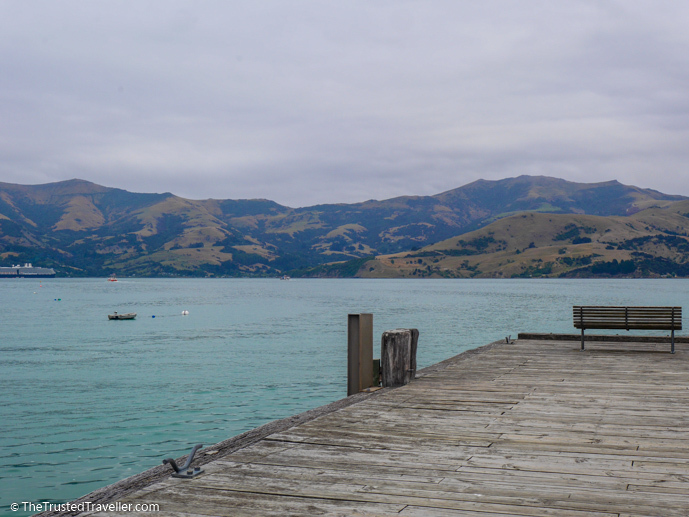 We thoroughly enjoyed our little day trip to Akaroa from Christchurch and were glad to have finally experienced another really beautiful part of New Zealand. Is this a day trip you’d like to take? 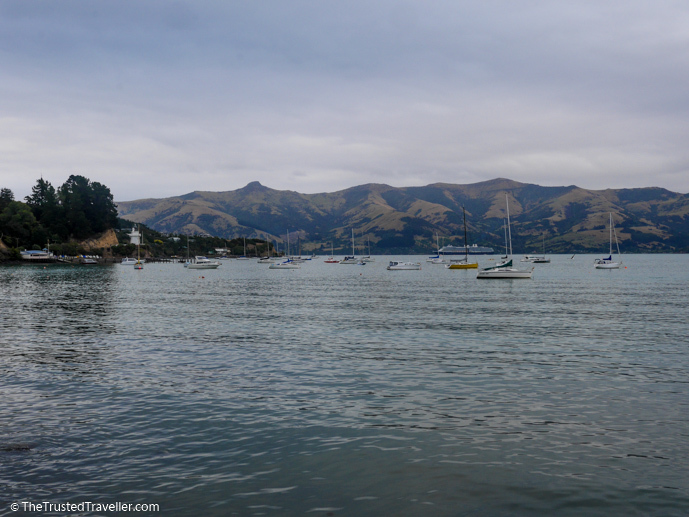 Or have you been to Akaroa before? 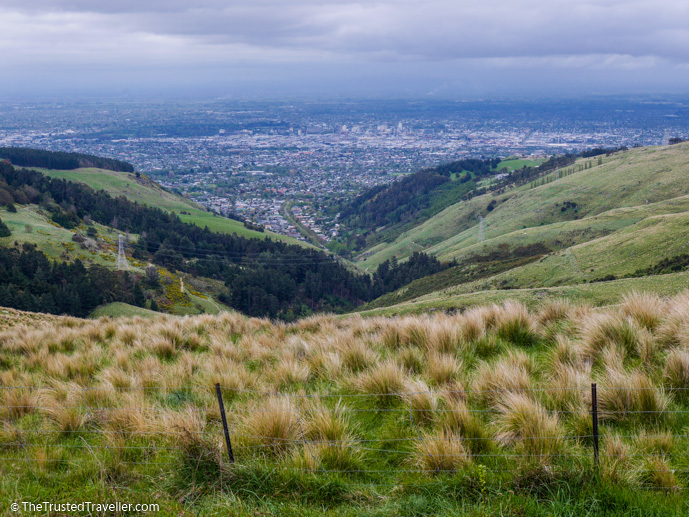 May I know from which spot were you taking those incredible view from Port Hills? 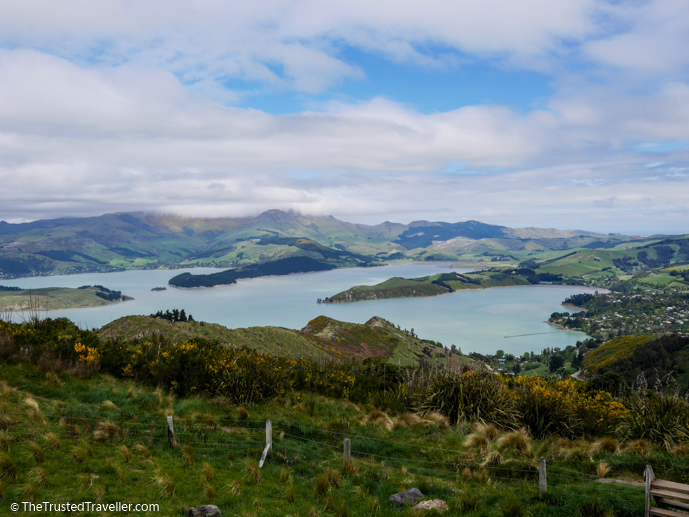 Did you snap both views (Christchurch city and Lyttelton harbour) from the same location? It was quite a while ago sorry so I couldn’t tell you. Assume they were taken at differnt spots. There’s great views from the top of the Gondola from Bridle Path road! Cafe and walks up there.